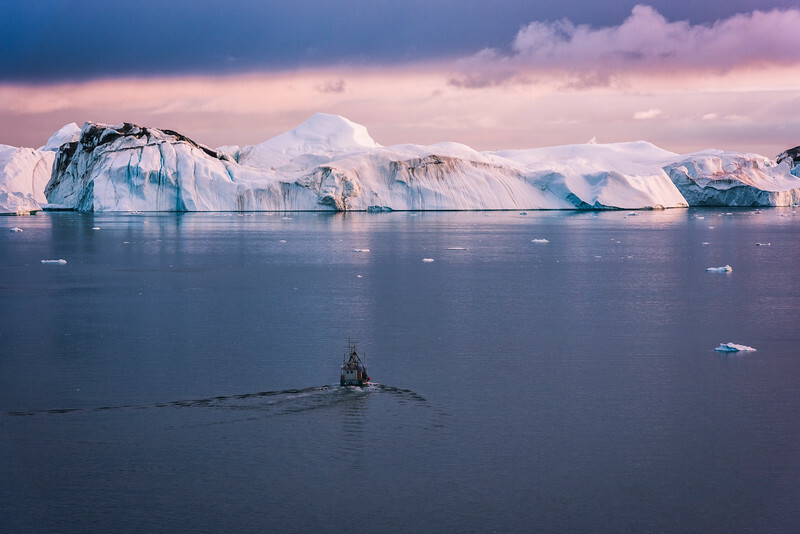 A fishing boat sets out for the evening in an iceberg-filled Disko Bay. 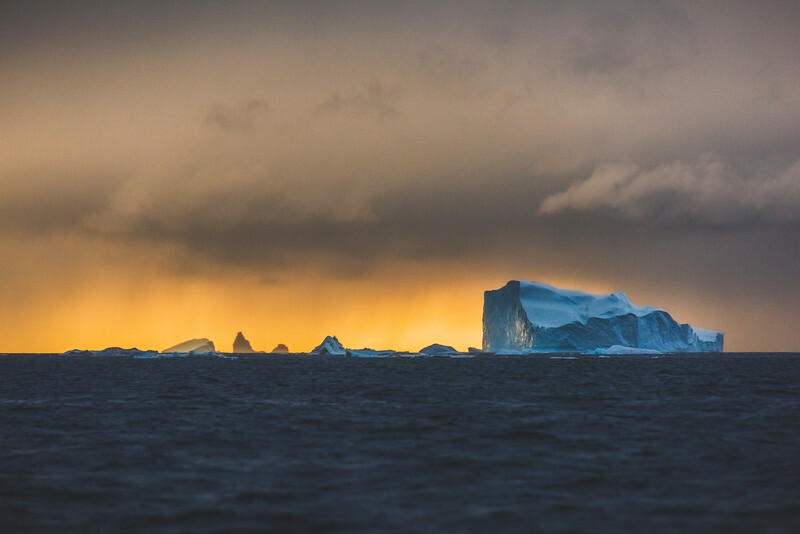 A large iceberg surrounded by its recently calved offspring all adrift in a stormy Disko Bay. 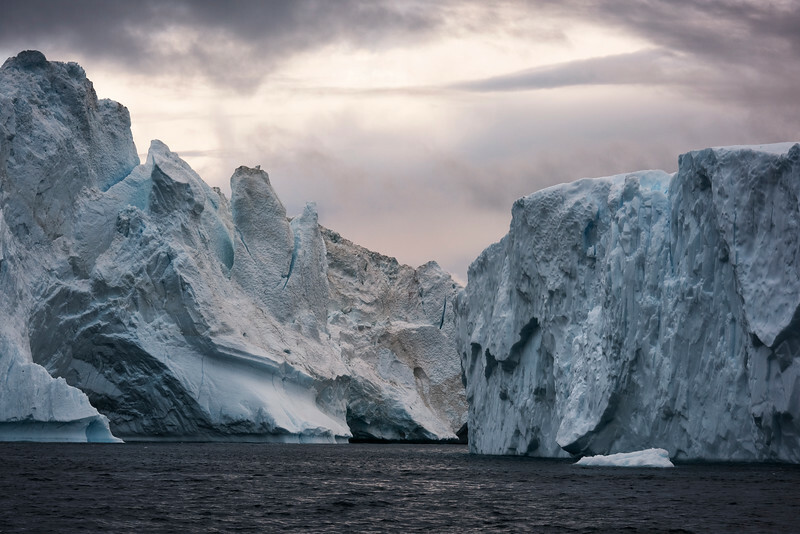 A close-up view of two large icebergs adrift in Disko Bay. 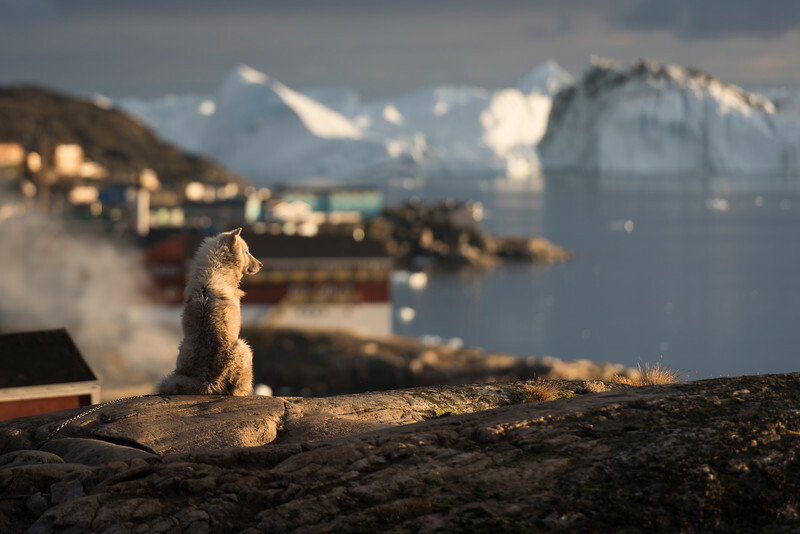 A Greenland Dog surveys Disko Bay bathed in warm sunset light.